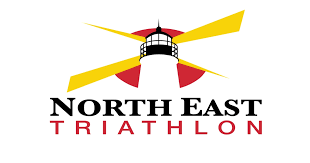 The North East Triathlon is an amazing race in a beautiful location. Staged out of beautiful North East Community Park just minutes from I-95, this race was the first triathlon for our company founder, Greg Hawkins, in 1995. The swim course takes place in the Chesapeake Bay with an in water start and one loop course. The bike course quickly goes through town then goes through portions of Elk Neck State Forest. The course is low traffic, hilly and technical in places, but has plenty of straightaways and beautiful views. The run course is a lightly rolling, out and back course on the shoulder of the main road south of town. This Chesapeake Bay waterfront town is worth a weekend away, there are plenty of boats, parks, restaurants and roads to explore. You can learn more about North East Maryland and Cecil County by clicking HERE. We know you will love this race, watch our race video to learn more. Don’t miss out, sign up today! 234 queries in 2.666 seconds.